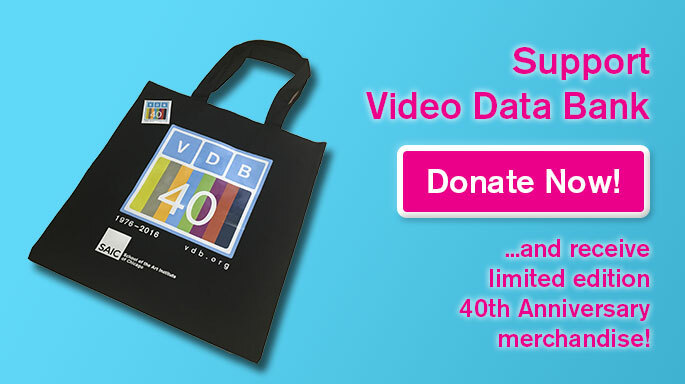 Video Data Bank (VDB) is pleased to partner with the American Library Association (ALA) during the 2017 Annual Conference and Exhibition, taking place in our hometown of Chicago, June 22nd-27th. During this event-packed conference — which will feature well-known speakers including Ron Chernow, Sarah Jessica Parker, and Hillary Rodham Clinton — staff from VDB will be sitting on a number of panel discussions, tabling in the exhibition hall, and hosting the ALA Video Round Table Gala at the Gene Siskel Film Center. If you are in Chicago for the weekend we hope that you will join us for what promises to be an exciting few days of exploration and discovery with colleagues new and old. Development and Marketing Manager, George William Price and Distribution Manager, Zach Vanes will be available for individual meetings on Friday 23rd and Monday 26th. Please see our About Us page for contact information. 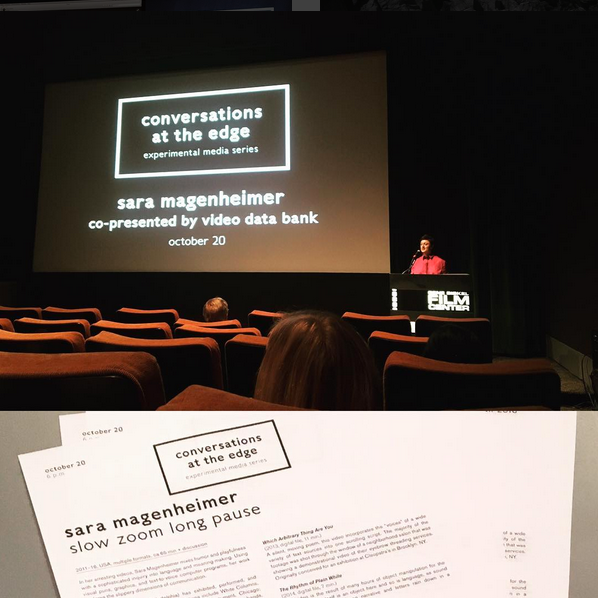 VDB staff will be available to discuss all matters related to video art, distribution, and preservation. Film, video, and audiotape are increasingly at risk for physical degradation due to poor storage environments and their chemical properties, known as “inherent vice.” These vulnerability issues continue to gain attention. Likewise, knowing preservation best practices of analog objects is growing in importance, especially as digitization isn’t a feasible option for many institutions. This panel will discuss the science of this deterioration and ideal vs. practical solutions for storage through case studies and discussions. Two teams will go head to head to debate the statement “The preservation of analog audiovisual media is the single most important preservation issue facing libraries (and archives and museums) in 2017.” Teams will include members from the Preservation and Reformatting Section and the Video Round Table, bringing their different perspectives to each side of the issue. Audience members will be expected to ask questions during the debate, and the debate will be followed by an open discussion with the audience and the debaters. 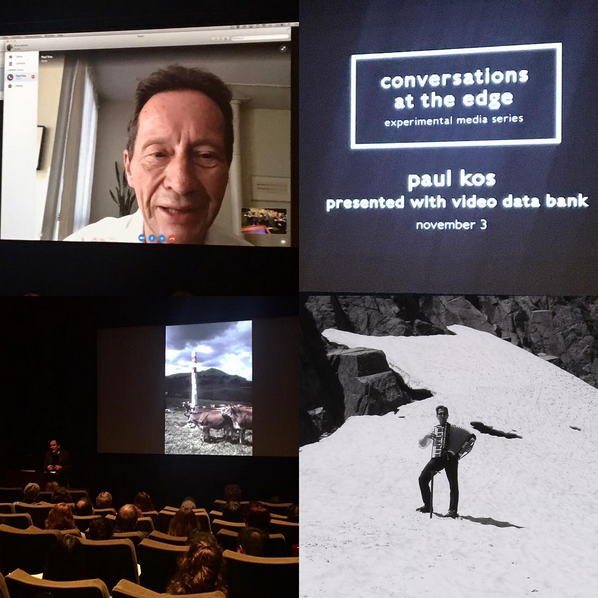 Join the Video Round Table for drinks and hors d’oeuvres followed by a presentation on the media collective Videofreex from Tom Colley, Archive and Collection Manager of Video Data Bank. One of the earliest video collectives in the United States, the Videofreex formed in 1969 at the legendary Woodstock Music festival, and went on to tour the country with the newly available Portapak video equipment interviewing counter-cultural figures of the day. In 2001, as part of Video Data Bank’s mission to preserve and archive important historical video, they began amassing the Videofreex’s vast tape archive on the now-defunct half-inch open reel video format. The presentation at the Gene Siskel Film Center will include rarely seen gems from the Videofreex archive, including historic interviews with Fred Hampton and Abbie Hoffman. The New York Film Festival, now in its 54th year, runs September 30th to October 16th, 2016. This year marks the third year of the Festival’s unique celebration of experimental media: Projections. 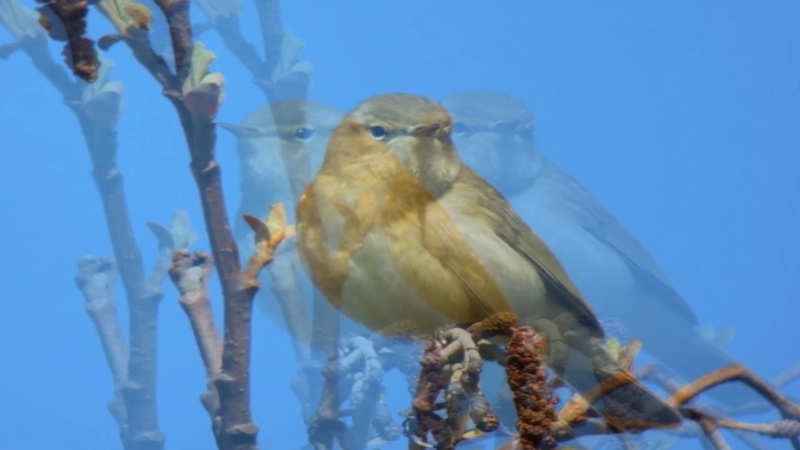 The New York Film Festival’s Projections section presents an international selection of artists’ film and video work that expands upon our notions of what the moving image can do and be. Drawing on a broad range of innovative modes and techniques, including experimental narratives, avant-garde poetics, crossovers into documentary and ethnographic realms, and contemporary art practices, Projections brings together a diverse offering of short, medium, and feature-length work by some of today’s most vital and groundbreaking filmmakers and artists. Projections is curated by Dennis Lim (Director of Programming, Film Society of Lincoln Center), Aily Nash (independent curator), while Thomas Beard (Film Society Programmer at Large) serves as Program Advisor. 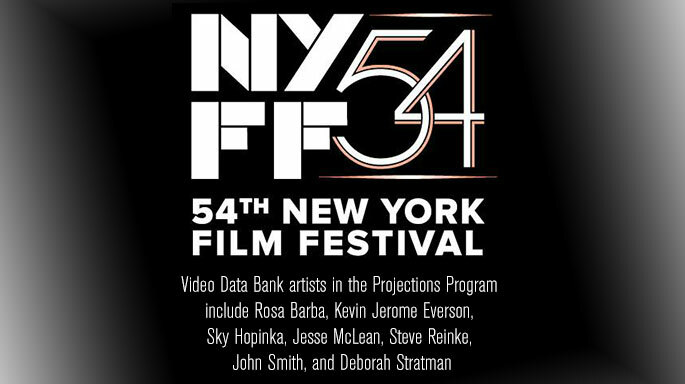 Find out more about the 54th New York Film Festival by visiting the online festival brochure. 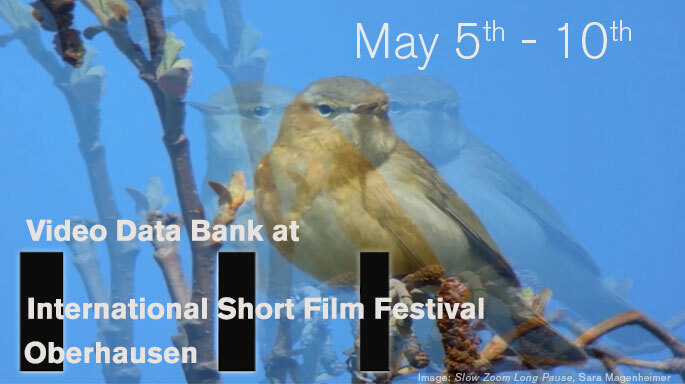 Video Data Bank has been a proud partner of International Short Film Festival Oberhausen for the past eight years, during which time the festival has solidified its reputation as one of the world’s most respected film events. The festival’s 62nd year sees VDB celebrating its 40th anniversary by presenting a selection of dynamic new releases, curated by VDB Director Abina Manning; Saturday 7th May, 12:30pm at the Lichtburg Filmpalast/Sunset Cinema. Harun Farocki (1944–2014) was born in German-annexed Czechoslovakia. 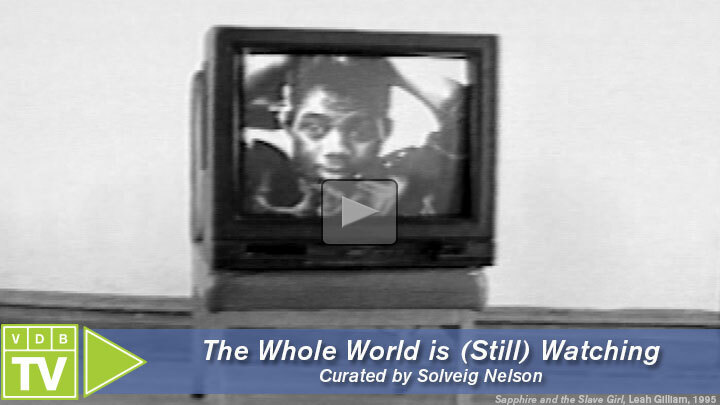 He began making experimental essay films in the mid-1960s, eventually producing more than 120 works, many of them using found images – educational films, equipment demonstrations, video games, war footage. Farocki’s longstanding social engagement was reflected in his work, whose primary concerns were society and the ways that images are used to shape a population. 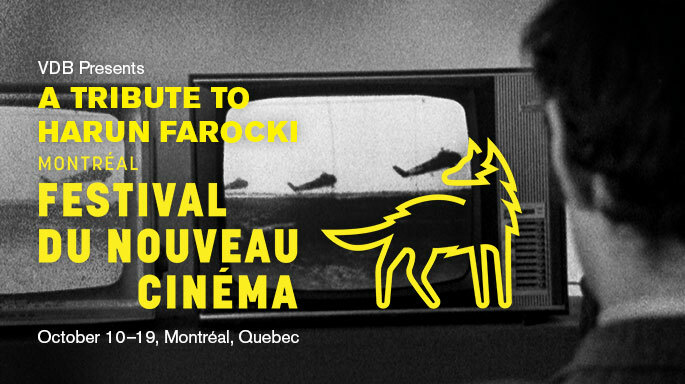 Video Data Bank is proud to represent Harun Farocki’s film and video work, and to present this retrospective in collaboration with the Festival du Nouveau Cinema.